Eco-friendly doesn't mean luxury free as ABC News finds the top 10 hotspots. In the past, trying to be environmentally friendly on vacation has meant giving up life's luxuries, but nowadays, vacationers no longer have to compromise. ABC News takes a look at 10 of the best eco-hotels, lodges and resorts, ranging from many that won't break the bank and a few that might certainly push it to its limits. Frégate Island is a luxury retreat situated just four degrees south of the equator in the Indian Ocean about 700 miles northeast of Madagascar. It is one of 115 islands that make up the Republic of the Seychelles, a former British colony. The island covers only 700-odd acres. But as all good things come in small packages, it packs a lot in with seven beaches, 16 luxury villas and a spa. For those concerned about the eco side of their vacation, luxury certainly doesn't mean sacrificing the environment. The retreat boasts a number of organic and carbon-neutral initiatives including the wide-spread use of solar panels, organic food and spa treatments and the island even has its own dedicated zoologist to help protect and preserve its unique plant and wildlife. Guests will also not be disappointed by the luxury side of things. The resort is limited to 40 guests at any one time, the rock spa provides tranquillity on a cliff-top plateau and each villa offers both privacy and an infinity pool overlooking the ocean. Set in the heart of San Francisco's hip SOMA district, the Good Hotel is perfect for guests looking to be a the center of things while having a "philanthropic and positive approach." 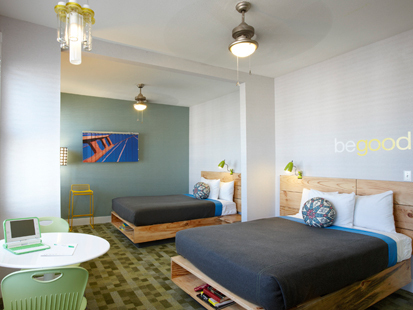 Good Hotel's decor is eco-friendly and includes using recycled and reclaimed materials. The hotel is also part of "Joie de Vivre Gives," meaning that it participates in the "You Can Make a Difference" program that helps the local area. And being eco-friendly doesn't mean giving up on contemporary luxuries. The Good Hotel offers all the mod-cons from plasma-screens to iPod docking stations to high-speed wireless, and there's even a heated pool across the street. The aptly named adjacent restaurant Good Pizza is also eco-friendly using only fresh and local ingredients in its artisan thin-crust pizzas. And a final bonus? Hybrid cars receive complementary parking. Recommended by Rough Guides, this Ecocamp is located in Chile's Torres del Paine National Park offering guests an eco-friendly stay in Patagonia. 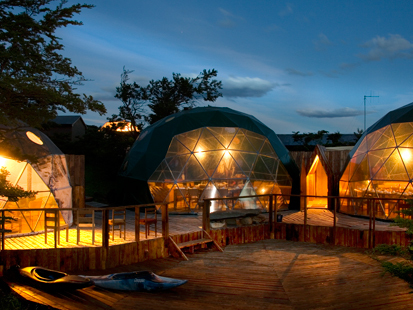 The Ecocamp is a collection of eco-friendly domes that offer guests direct access to beech forests, glaciers and mountains. Guests stay in their own dome made of organic materials found on-site such as wood, furs and leathers and are a blend of traditional huts, igloos and domes. There are also main domes that provide social areas, including a place to eat. The eco-friendly commitment also means that the camp only uses natural and renewable sources such as water, wind and solar power. Guests enjoy comfortable accommodations and all the domes offer panoramic views of the surrounding parkland. But beware. Guests must give up some contemporary luxuries as hairdryers are not allowed and there's no Internet access. Set at the heart of over eight acres of Italian countryside, Villa Magnolia is an 18th century villa complete with olive trees and almond groves. 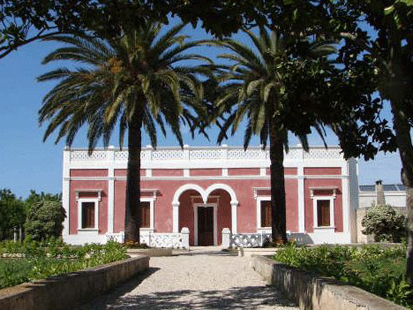 The villa is not large but it does offer guests privacy during a stay in one of the four bedrooms. 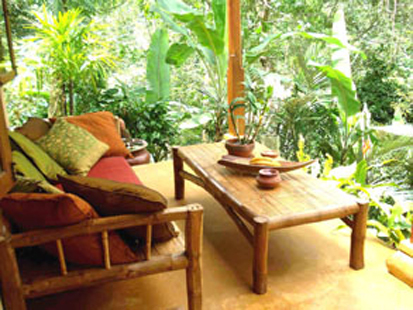 Villa Magnolia seems to have it all with good food, relaxation, and it's also kind to the eco-aware conscience. The hotel and guest rooms use solar energy, LED lights, rainwater collection and they buy locally grown organic food. And being eco-friendly doesn't mean giving up the luxury with the grounds offering guests a Roman-style salt water swimming pool, sunken Jacuzzi, outdoor patio area and beautifully decorated guestrooms furnished with antique furniture. Guests should also be sure to take advantage of the massages, reiki, aromatherapy and yoga that are also available. Winner of a Wild Asia Responsible Tourism Award, the Sarinbuana Eco Lodge is perfectly located on Mount Batkaru in the heart of Bali. It offers guests a unique experience and a stay that ensures every opportunity to be close to nature. The lodge is only a few minutes from protected rain forest and from each of the bungalow lodges, guests can enjoy stunning views. Accepting only 10 guests at any one time, the lodge is perfect for vacationers looking for privacy, nature and the chance to be eco-friendly. The lodge itself offers bungalows made of natural materials and decorated with traditional Balinese designs. Guests can choose to relax or get involved by exploring the surrounding areas or taking a Balinese cooking or calligraphy class. On the environmentally-friendly side, the lodge uses energy efficient appliances, solar power and even conducts weekly meetings to brainstorm how to achieve their eco-friendly goals. 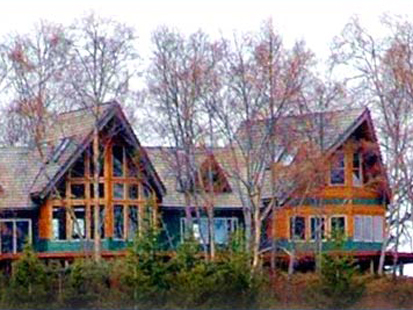 Ridgewood Lodge is the idyllic retreat on Ishmailof Island adjoining Kachemak Bay State Park in rural Alaska. The lodge offers traditional creature comforts and the opportunity for guests to get down to nature while ensuring that they remain eco-friendly all at the same time. The lodge is only one building, a design feature that was aimed at reducing its footprint on the land, and is run by a couple who remain committed to protecting the environment. During their stay, which is limited to 10 guests at any one time, visitors are offered three gourmet meals and panoramic views of the stunning mountain scenery. Adventure types can opt to get active by fishing, glacier kayaking, bear watching, hiking, salmon chartering and even take advantage of the complementary guided eco-tour. The lodge supports local businesses, growing its own vegetables, and ensuring that its appliances are all environmentally sound. 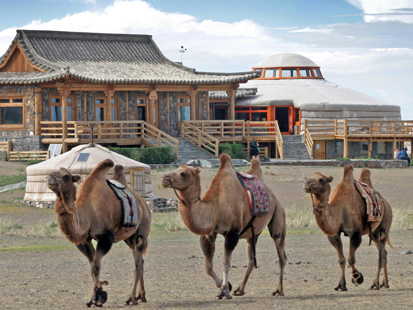 Located perfectly at the center of the Gobi Desert, the Three Camel Lodge is a collection of traditional Mongolian felt tents that offer guests a unique stay. 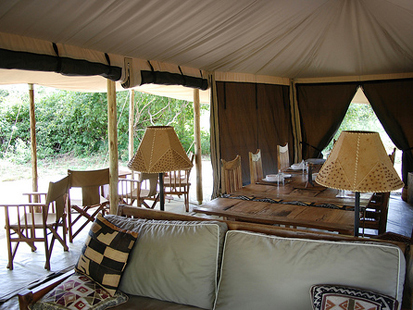 The tents themselves are handmade structures warmed by wood stoves and furnished with hand-painted furniture. There is a community feel to the lodge with a large Dino House, a Mongolian temple-like building that houses games and a library for guests to interact and learn more about the local surroundings. The on-site restaurant uses locally grown organic and free-range ingredients to make traditional dishes. Guests wishing to be environmentally friendly will not be disappointed, the lodge uses solar and wind energy, natural materials and is respectful of Mongolian Buddhist traditions. Three Camel Lodge is also committed to the local surroundings and serves as a research base for monitoring wildlife and vegetation, and even educates the local children. A restored Old Writers Retreat, Cloudlands is a beautiful hotel with more than an acre of terraced garden and access to the Prince Henry Cliff Walk. It is located in Australia's Blue Mountains about 60 miles northwest of Sydney. The hotel is the perfect place for guests looking to escape the hustle and bustle of daily life, but who are also committed to doing their best for the environment. Cloudland's concern for the environment is wide-reaching with initiatives to source food locally, use solar energy, minimize water usage and also sell paintings to raise money for the charity Help in Suffering that is working to save elephants in India. The hotel boasts cozy guest rooms complete with organic toiletries and Australian alpaca wool blankets. 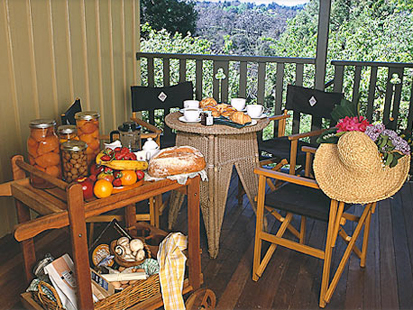 There is also an oak-paneled lounge room and a fully equipped kitchen for guests to take advantage of. Guests should also be sure to try the on-site-made apple jam! Kigelia Camp features guests staying in luxury tents in the heart of over 5 million acres of African wilderness. The camp is family run and located in Ruaha National Park close to the Great Ruaha River. Staying in a tent may not be to everyone's taste but at Kigelia Camp this doesn't mean foregoing contemporary comforts. Six large tents are set among trees offering private bathrooms, well-furnished bedrooms and a veranda with views of the great outdoors. There is also a large shared dining tent where traditional dishes are prepared from local ingredients. The camp's eco-friendly credentials include solar power, kerosene-fueled outdoor lighting, organic waste management, environmentally-friendly appliances and recycled water is used for plants. Guests can also take a wild game drive to view the local wildlife including lions, leopards and the largest population of elephants in Africa. 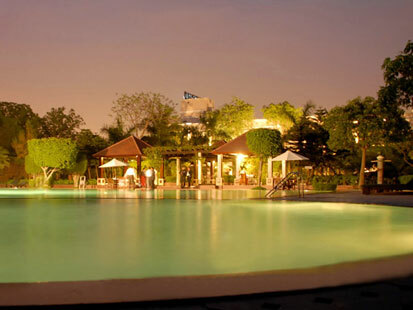 A member of the ECOTEL group, The Orchid in New Dehli is perfect for vacationers and business travellers alike. At The Orchid, guests can take full advantage of a top quality, luxury stay while remaining sympathetic to the environment. The experience includes a swimming pool, jogging track and even its own 8-hole, soon to be nine, golf course. Guest rooms sport all today's usual mod-cons and the restaurant is perfect for visiting foodies. On the environmental side, the hotel was designed and constructed with energy conservation in mind and uses minimal lighting. Water is also conserved, waste is recycled and the hotel is committed to preserving the natural environment. The hotel's entire staff is educated in the environmental practices and The Orchid even has its own Green Team to ensure environmental responsibility.